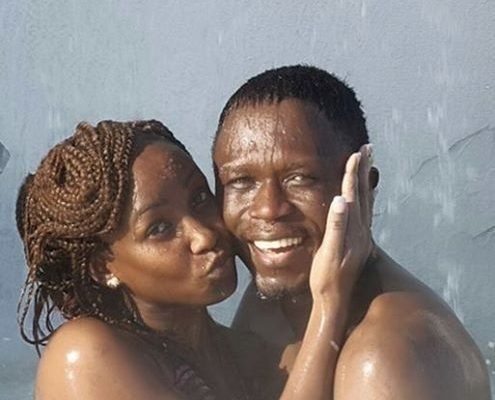 Friday, August 31, 2018 - Former Budalangi MP, Ababu Namwamba, has been mistreating his wife, Priscah Mwaro, and then fooling Kenyans through social media stunts that his marriage is okay. There was a time that Ababu used to splash photos on social media getting mushy with his wife and dedicating to her sweet words. But the social media PDAs between Ababu and his wife were all hogwash. According to Ababu’s wife’s brother, Patrick, there’s a time he chased his wife at night. Patrick claims that Priscah came to his house at night barefoot to seek refuge. He was holding her naked child and crying for help after Ababu Namwamba chased her. Patrick claims that Priscah has been living alone since December after she left their matrimonial home when she caught him pants down with their niece, Cecilia Moraa. Picha kama hizi lazima wachina watusi Wafrica.